Who would have thought a cardboard could be a tourism promotion tool, not just 1-2 countries. Here's the story about Google Cardboard. Google Cardboard is a simple cardboard tool created by Google in 2014. Virtual reality tools are synonymous with expensive items, but Google is trying to create cheap goods made from cardboard so that they sell well. the price is only USD 24. Compiled updetails.com from various sources, Thursday (08/09/2018) 4 years of the Google Cardboard trip is very interesting. For users and traveling enthusiasts to see various destinations virtually with this tool. Travelers and users can assemble their own boxes into VR devices and it would be really exciting to assemble them. Then Google Cardboard can be used to see various things. The Verge in 2014 wrote that Volvo took Google Cardboard to the Volvo App. USA Today in 2015 wrote the Mattel toy factory as well to follow to develop VR with Google. Google Cardboard is slowly becoming an effective tourism promotion tool. Bloomberg reported that Thomas Cook travel company developed a 3D travel marketing promotion using Google Cardboard. The videos offered are Pyramids in Egypt, 6 hotel properties and motorbike action in the desert. Exclaimed right? Then, the Coachella Valley Music and Arts Festival in 2016 utilizes Google Cardboard so that tourists can enjoy the festival virtually. In early 2016, Google said it had received orders for 5 million cardboard devices. In 2017 there were already 10 million cardboard glasses ordered by people. 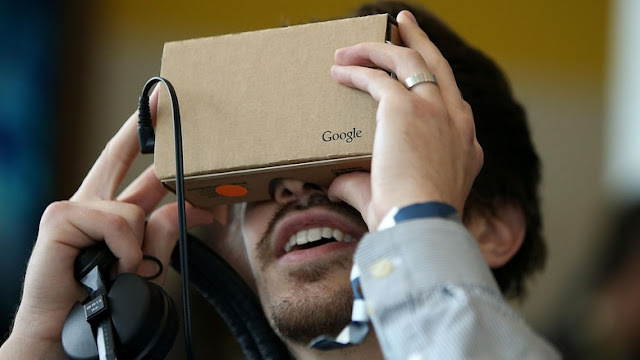 Now, many foreign tourism agencies have used Google Cardboard for tourism promotion media. Viewed detikTravel from its official website, Kangaroo State Tourism Agency, Tourism Australia offers 360 views with Google Cardboard. Likewise New Caledonia Tourism. They also offer virtual reality tourist destinations relying on Google Cardboard. Who would have thought, a box of cardboard could change the face of world tourism promotion. 1 Response to "The Story of a Cardboard that Changes the World of Tourism"